This centrally located three star hotel, is in a small quiet street and was totally renovated in 2001. In the very center of Athens, just two minutes walk from Syntagma square, where is the Parliament and the National Garden and few minutes away from Plaka area. 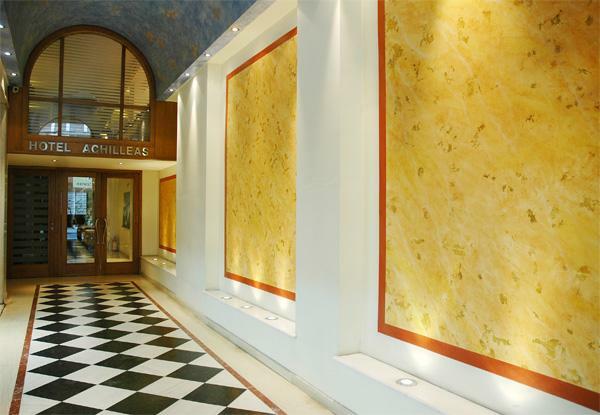 ACHILLEAS Hotel is cinsisted of 34 rooms, beautifully renovated and decorated including new design furniture, colorful fabrics, individual control air conditioning, mini fridge, satellite TV, hairdryer, safe deposit box, electronic key card system, telephone. For families up to five people are offered spacious rooms on attractive rate. A fully air conditioned breakfast room, offers continental enlarged buffet breakfast which is included in the price. In the very center of Athens, just two minutes walk from Syntagma square, where is the Parliament and the National Garden and few minutes away from Plaka area. 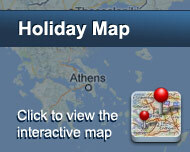 Acropolis, museums, national gallery are all in short and pleasant walking distance. Modern shops, souvenir shops and tavernas are all in the area. Είστε ιδιοκτήτης ή διευθυντής στο ACHILLEAS; Εγγραφείτε τώρα για δωρεάν εργαλεία, που μπορείτε να χρησιμοποιήσετε για να βελτιώσετε την καταχώρησή σας και να συνδέσετε την ιστοσελίδα σας και το σύστημα κρατήσεών σας.